Wow, been a bit since I updated and a lot has happened. Because of the time it takes to upload videos to YouTube, I’ll make this a picture post and put up one with just videos maybe tomorrow. On Saturday we took a field trip. A local school raises butterflies every year as a class project. 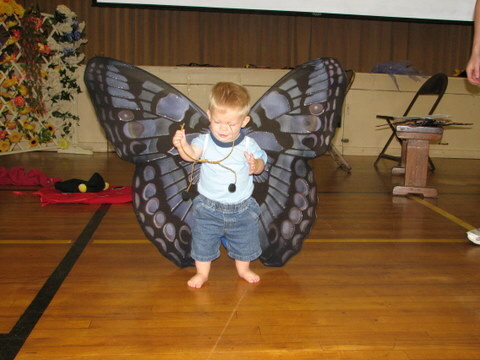 When they hatch out the school hosts a little butterfly festival. Inside a tent they had a bunch of painted lady butterflies that we could hold. The owners nervously watched while Lance held one. 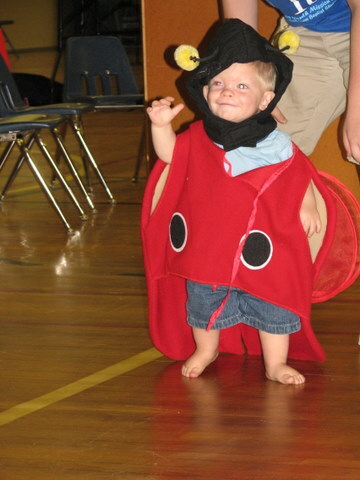 The ladybug was Lance’s favorite – he strutted all around the gym! 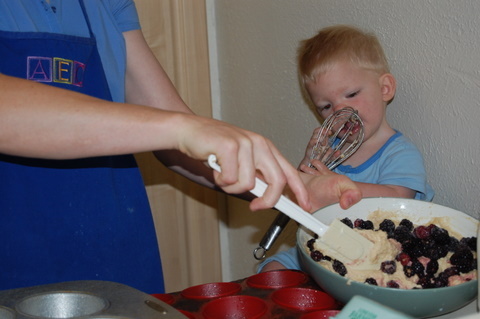 Sunday started out well with some yummy muffins made with the berries we picked. 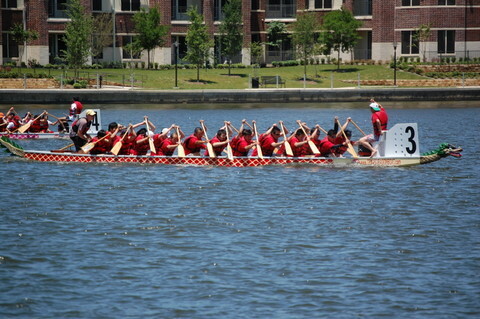 After church we took a picnic lunch to the lake by Brian’s work and got to watch some Dragon Boat racing and a few martial arts demonstrations. Sunday evening my preschool choir had their last performance and did a fantastic job! 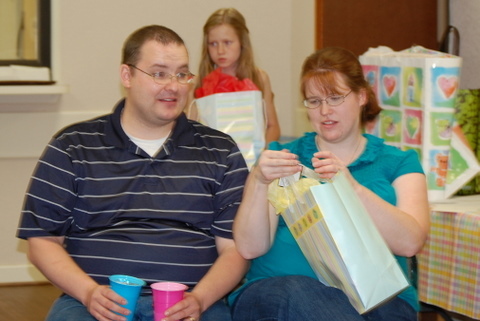 After that there was a baby shower for me and another Amy in our church – both of us due within days of each other. This is the other Amy and her husband Ryan. They have four kids that love Lance and are totally excited about their new brother. 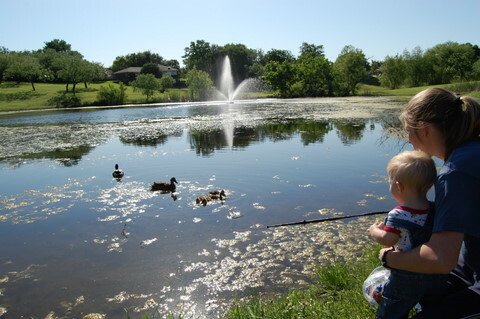 And on Monday we went to the park with our friends and fed the ducks – see the baby ducks? That’s it for now, I have to go pack for our trip this weekend! !